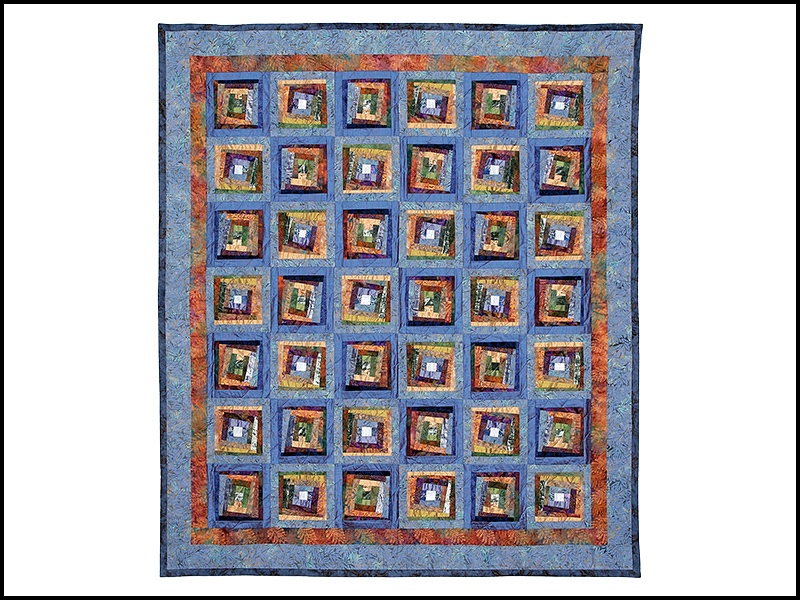 This stunning quilt is shown in the 'Blue-Multi' color combination. More than 50 beautiful batiks were used to piece together this design. The irregular border around the edge creates an interesting drop off the bed. 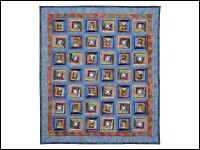 Machine quilted freehand with a cotton batting. The batiks are hand dyed fabrics which vary slightly; each quilt will be unique. Machine wash and dry.